Musings by Laura on the Homeopathic Publishers, Narayana of Germany, putting out exciting and forward thinking New books that advance the profession for patients and practitioners. Without understanding, your love is not true love. You must look deeply in order to see and understand the needs, aspirations and suffering of the one you love. We all need love. Love brings us joy and well-being. Interestingly I have recently stumbled onto two Homeopathy books that relate to one of my favorite Thich Nhat Hahn books in my small but growing Buddhist library, The Heart of Buddha’s Teaching. The two Homeopathy books seem worlds apart, but together are immensely helpful to my practice at present. One is One Heart, One Mind by Pierre Fontaine (2015 - just released this year) and the other is Dreams, Symbols and Homeopathy by Jane Cicchetti (2003 - you know it to see it, if you haven’t already read it). Both are interconnected despite their differences. The first is about Autism Spectrum treatment from a unique perspective/method of inquiry (case taking by “Surrogacy”) and the latter one is about the use of Jungian Dream Analysis in treatment/healing. Both ultimately are about deep and transformative healing of patients from anywhere on the spectrum of being human. 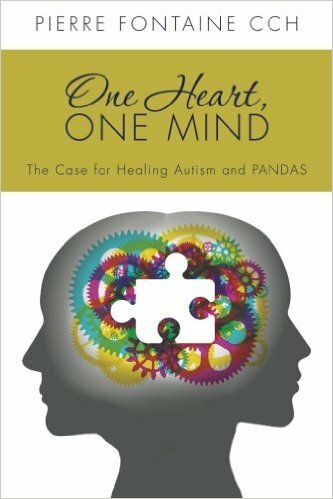 Fontaine’s subtitle of “The Case for Healing Autism and PANDAS” and Cicchetti’s of “Archetypal Dimensions of Healing” bring it home: that healing is the name of the game. So, not just getting better in the conventional way of how we Homeopaths sometimes end up treating when dealing not just with Acutes, but, sometimes, unfortunately, when we work with patient’s that just want to get “fixed”. Naturally, any of us are going for gold - cure that is - but sometimes even we have our doubts if Autism (or for that matter even very serious physical pathology) can be touched and turned around by what we do. Well, there is hope for a cure…and I am not talking about any pink ribbon campaign kind of sugar coated cure. These two books and what I am experiencing with the guidance of these kinds of deep and transformative books attest to what Homeopathy can do. Love is simply the name for the desire and pursuit of the whole. Essentially they both are about moving from a place of not being aware of what is happening subconsciously to where one can integrate the contents of our psyche within our daily lives. So, bringing to the fore what is hidden even to ourselves. What homeopathic remedies do effortlessly. However, here’s the rub: to become healthy one has to be conscious. This is the awareness we see as part and parcel of healing that is transformative for our patients. But, as we see, patients often want us to fix them; they don’t sign up initially to go through a full makeover… self-transformation. Ironically, for this to happen one has to consciously choose to become conscious. Anyways, not to stray any further off the path, I will say that in the case of the first book the conscious choice to go for broke, cure of Autism that is, involves the parent(s) of the child in the work that Pierre Fontaine has been doing. I will be chatting with him one day for a review of the book I am hoping to get out in a print journal in 2017. Somehow, without even asking, I think I can correctly assume that no parent that contacts him is adverse to his Surrogacy Method. These families live their Autistic child's pain and suffering daily - some mothers in fact have sensed something was amiss while their child was still in the womb. His book has 18 cases and you really get a great sense of his method of casetaking because he documents word for word like Massimo Mangialavori...including his questions - definitely the way to do it for us not knowing anything of this method. Shall I just dive in and explain it? It's basically having the parent give voice to the child who can not speak (children with Autism often act in ways that are about alleviating their pain, as in the very physical pain of their brains and bodies. The arm flapping commonly seen, for instance, serves this purpose - which anyone that puts their mind to it would think, yeah, why do they do that? Think about when you hurt yourself, as in stub your toe...do you not do this to some degree...as you wail or jump around we often flap our hands calling out, "ouch, ouch..."). So, this is about bringing what subconsciously is there for the parent all along - they deep down know what their child is expressing from the core of their being. His breakthrough of having the parent speak as if they are their child really gets the essence of the case out on the table - to be able to prescribe an individual remedy as we would anyone else. So, Pierre Fontaine gets a parent, usually the mother, to explain what is going on, in the first person...and in his cases they do it seamlessly from initially describing "objectively" what their concerns are (the history and what they've tried to date/on the programs, schools that the child attends, etc.) all the way to saying "I feel sad and wish I could cry when I can see everyone around me talking and I am not able to say anything but just watch...I know it hurts my mom's feelings"....p.s. - I just made that up as an example to give you an idea of the "Surrogacy Method". Fontaine's definition of recovery from Autism Spectrum is 1) Spontaneous eye contact, 2) Spontaneous interaction with peers and adults, and, 3) Spontaneous conversational speech. It is a wonderful read, his book - the body of which is made up of cases. They take up 2/3 of the book's length (which is 365 pages). 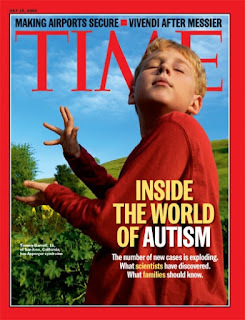 The rest being an introduction to the topic by way of an explanation of both conventional diagnosis and treatment of Autism (in just the amount we need to know) as well as, naturally, outlining his method. My issue with the book is that you have to find the M.M. sources on your own to make sense of the remedies he prescribes for his cases. But, you will see that I jump in to the rescue with info for you on a couple of them, but you are on your own with regards to making sense of how exactly he gets a match to the state of the patient (other than a cursory insight... This would make for a really good read for those that are needing to know this, like me). We learn that he started taking cases of Autism Spectrum children in 1997. This is when he started to focus on pregnancy for the purpose of finding a matching homeopathic remedy...but, he didn't do this to determine that something went wrong during pregnancy (as in the state of the mother during the pregnancy and vis versa), "...but because of the closeness or resonance [that] it brings." Then one day, with one particular case, he spontaneously allowed for a mother to continue where she was in deep empathy with her child and speaking from the perspective of her child: "I realized she was having a deeply empathetic experience to the behavior she was describing. In my mind I saw this as a doorway that needed the right question to open and behind it would be an experience not of her own but of her child[s]." (p. 32) He continues, "Though she was simply describing the outward symptom of her child "tapping on everything with his thumb," she was on the very edge literally [of] going into the child...At that moment it became clear there was no need to cut the flow and redirect her back to the pregnancy, but instead to listen and wait for these doorways to spontaneously present themselves and ask the right question...this enables us access to the child's experience or sensation that causes or contributes to symptoms and behaviors. This is autism speaking through the surrogate." (pp 32-3). Wow, eh? totally makes it so we as beginners or never having worked with Autism can take the case - it is a method, one that is repeatable, so, therefore, it's scientifically sound. Seriously, though, it's something that can be replicated. Monsieur Pierre writes so lovingly yet practically and if you have a knack for the art of Homeopathy - being able to tune in deeply and then translate that into good case taking skills - you too can do this! In fact I am so ready to take a case right now. I had a fear about a year ago to take a "real" Autism case and referred out, but, now with the "Surrogacy Method" I am confident that I too can do it. Again from p. 32 (there are only 4 pages in the 4th Chapter called "Surrogacy" and it has the crux of the book in it (it's the lead up to the cases...hence, all my quoting from these pages). So, back to his realization with this one case: "This was the moment I sensed what I previously described as "strongly feeling a universal principle." Here it is! "These behaviours or habits known as stims, short for stimulation, are meaningful; there is substance behind them if we can access them through the surrogate." I hone in on these, stims, as they are sort of a signature of the pathology, just as a CD4 count is to HIV...and like any disease, no one person despite having the same behaviours - as in Autism Spectrum Disorder - has the same experience of their symptom (if indeed this is a sx). To be more precise, you see in all the cases that as the mother/parent voices what is going on for the child the reason behind the behaviour is uniquely their own. Seems far out or maybe far fetched to some. But think about it my friends: it is the crux of what Homeopathy is about. Individualized treatment. With everyone that comes to us for similarly diagnosed/labelled diseases getting a different remedy from us. The cases are all unique, but each child is on the Spectrum - of different ages, temperaments and how they are Autistic, etc. I do have more cases to read on my part. Lets just say of the few that I have already read they totally astound me based on how marvelous the work of Fontaine is...which, no doubt, includes his great prescriptions! The first case, M, age 6, is a case of Granite (Lap-gr-m) and the second right after, M, age 6 also, is a great case of Lycopodium. The third case, M, age 13, is a fantastic case of Androctonos amurreuxi hebraeus (that is the Israeli Fat-tailed Scorpion). * In terms of Materia Medica we should all read a case of this remedy state when presented as an ASD case! Truly, the ultimate challenge is finding and using "small remedies" for severe Autism/non-verbal individuals. One thing you really get from reading One Heart, One Mind is that only the simillimum will do. Truly, you will be convinced by the time you are finished reading even the first few cases is that not one case would be turned around with an incorrect remedy. *The fourth case is a nice one of Thlaspi bursa pastoris, Shepherd's Purse... and so it goes...a beautiful use of small and interesting remedies that at the best of times many miss using. The other thing, a subtext, that comes through - but not directly stated by the author - is that you are doing something to the effect of "Sensation Method". If you can get the sensation, nonetheless, it is like any other case in that you try to find out how the patient experiences their symptoms. You are always really just trying to figure out what is going on for the patient. This is what I have always sensed even Rajan Sankaran does - Sensation or No Sensation. And with the others we all know and love...Jan Scholten, Lou Klein or Mr. Massimo Mangialavori. They are all really just like you and me plodding away and trying to figure out what is happening from the patient's perspective (okay, they maybe are not plodding but strolling along). We just sometimes need reminders that we are aiming to get behind the symptoms and not just collecting symptoms. Half the battle only, but admittedly, early on I thought the whole battle was trying to get symptoms to repertorize. Reading Fontaine's cases brings home the fact that what is behind the symptoms is where it's at...because he really had to dig deep to get at what was going on for his patients. The "Surrogate Method" has an element about it that covers the 7 Levels of Rajan Sankaran in that there are Mind symptoms for the children with ASD, it is not just physical. The surrogate gives us the Facts, when stating what they and family/others observe...they give us - when going into the state of child - the Emotions, Delusions and the Sensations. When you read the cases you'll get this. For this alone, you simply must order the book and read it: any Homeopath be you a beginner or an advanced practitioner with an interest (or not) in treating ASD will benefit from the book. You definitely get to witness the work broken down via his cases. He gives you so much detail both at the Intake level and then as the cure unfolds. And all in real time - more than I have felt with some other cases that I have read (and I am reading on average a couple of cases every month now - before I was doing a case a week on average for many years, what, incidentally, I feel has given me the ability to practice almost more than anything else). I will touch on the 1st of the 3 cases that I mentioned before having a look next at the Cichetti book. The Granite case, for me, is profoundly interesting based on having read the marvelous work of Nuala Eising (Volume 1 of 2 of her books entitled Provings, 2012 & 13 - with Granite, Marble and Limestone as a group of profoundly deep remedies being in the second volume). No doubt I was profoundly struck by the fact that Pierre Fontaine got to a remedy for a case through the "Surrogacy Method" of a remedy that is considered by most Homeopath's to be a "small remedy". Having said that I also was not surprised because (as I said in the above) no other remedy will do for each case other than the one prescribed. And since I do prescribe and ascribe to "small remedies" myself it is natural for this boy of 6 to be what he is since his mother described the state of Granite perfectly: hard, everything sounding metallic, almost as if not alive, not caring, unforgiving, obstacle, spiteful, blockage, angry, harsh, unkind, unreadable, perfection, paralyzing, no power, heavy stone, etc. This being both what the mother felt and projected onto her own brother over a situation that Fontaine felt imprinted onto her when she was pregnant and, thus, onto the foetus. This was also how she viewed her son as she described him and his "autistic" symptoms. He had the mother describe these words and expand on them. So, with her saying that with the sensation of having "no power" as in her pregnancy she went on further to say that "...you're a vegetable, tied down and can't move. What is going to happen to you is not in your hands. It is as if there is nobody and only the mind is left but it is cut off from the body, it is not attached. You can't feel the legs. They are no longer attached to your body. You cannot move. The body is like a heavy stone; it has no life." Note - if the case taking stopped here would we not think Alumina or maybe a vegetable of some sort? Hopefully not. Or the patient would not get the correct remedy. The mother was asked to describe her words of "heavy stone". At this point will have to give you a "Spoiler Alert", so read no further if you want to savor this delicious case on your own So, here's the remedy speaking through the surrogate: " A boulder, it is gray, it can't be rolled. It is gigantic, as if it came out of the side of a mountain. It is hard, rough and rigid. Lifeless. Solid. Shatterproof. Almost protective. There is no feeling and you are unable to move. Disabling. Impenetrable. It is hard. Can't chip away at it. It is solid weight that is frozen in place. Massive, and needs Atlas strength to lift the stone. Monumental." (p.p. 82-3) The mother at the start when "objectively" stating symptoms said these words: "At 15 months, he seemed hard to reach. At 18 months, after a vaccination, he went from babbling to not speaking anymore and opening the refrigerator door over and over again. He seemed to have a foggy head and his understanding was totally gone. His main stumbling block is his speech, which somehow seems to be worse when the weather is cloudy." With these opening words, already the grey and block and cold aspects of the case/patient's state come through...and sure enough with the "Surrogacy Method" it becomes abundantly clear that Granite, and not Marble (which doesn't have Autism in its picture/you will see when you read up and do the differential diagnosis of the two...)...or Limestone for that matter. Suffice it to say that when Granite is forming it turns Limestone to Marble, so of course, they are all distinct and even within this family of remedies only the correct one will do! Nuala Eising found in her first prescription of Granite that all the children (a group of children, treated in Ireland, that were from from the post Chernobyl disaster) had these symptoms: "the idea that something terrible was going to happen", " the sense of invasion", "fear of people", "fear of touch" and "the beautiful haughty 'Platina' fantasy that is also in Granite". By the way, these are the proving symptoms not verbally articulated by the group of children, they did not speak English, but that she brilliantly prescribed based on presenting symptoms and, perhaps, by herself being a surrogate to these children. Even an untrained person observing the children or imagining what they went through in Chernobyl could do a remedy match...okay, that's silly. But you get my point. I will admit here that I have myself never prescribed from this family of remedies but always am wanting to and have used them as D.D. 's many a time and am always disappointed when I do not have a case of any one of these amazing remedies. One day! 3) Like the above, this is an article that I keep tucked between the covers of my Eising book...as a reference (for the day I get one of these cases!). The double 3 in the Orchids shows that the emphasis is on the Silica Series and so relationships are the point of focus in the case and, thus, the patient that is on the Autism Spectrum might be more Asperger-like or less inclined to being rejected outright. In the case of an Autism patient that needs a remedy like a Clubmoss - evolutionary-wise earlier on, and, therefore, developmentally less sophisticated as a person. As well, Lycopodium is a double 2 and, hence, emphasis is on the Carbon Row of the Periodic Table (Series 2) and so, there is less contact and ability to relate to people/others. Note- Their first number is also a 4 (as opposed to a 6, which is an Angiosperm (flowering plant)) and, therefore, totally simple and like a rx that starts with a 5 in the Plant System. It is basically very simplistic and about survival in whatever area of their focus...be it relationships, their body, work, or even their creative endeavors. See this link on the Klein Orchids book that has cases/proving info that compliments Scholten's System beautifully. N.B. - the link below also has an exerpt of the book, with its Contents and then a good chunk of a chapter (illustrating how Orchids are suited to ADHD in this case). 5) Scorpian case - info on line to read for free -- Androctonus Amoreuxii Hebraeus: Getting to Know the Androctonus patient, A Study based on Jeremy Sherr Proving by Claudio C. Araujo et al. European Congress of Homeopathy 2016...Note- has two female cases, one age 46 that works in the Police Force and the other age 3 at initial consult then age 7 when prescribed Androctonus. See the Dynamis site of J. Sherr too...you can get the download of the whole Proving for a nominal fee. So, now we go to the book that many of you have read or have been meaning to read (do we not all have a few of these on our "to do reading lists"...). 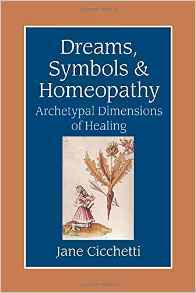 Jane Cichetti's Dreams, Symbols and Homeopathy was on mine almost 10 years. It is better late than never. Because many of you also might have read it or a proper review of the book I will not say too much other than, firstly, get it and read it and even use it as a basis for a Study Group. 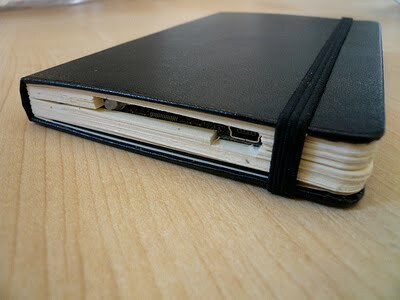 Or maybe better yet, take to heart her suggestion of keeping a dream journal yourself. This is in the section, "The 'Dreaming' Physician" that is in Chapter 8 of the book - which is the start of the 3rd part of the 4 parts of the book, where all the preliminary stuff in the first 2 parts gets applied to your practice. The 4th part is what Cicchetti's calls a "Symbolic Materia Medica" with Mineral, Plant and Animal Kingdom remedies covered by a chapter on Trees, "The Archtypal Tree", on Vines, "Healing Entanglements" and also Milks, "The First Food" and finally, Metals, "Of Alchemists". Incidently, the first 2 parts are integral to getting something out of the book clinically and are just plain awesome reading. But, for sure, the 3rd part is where the meat of the matter lies with headings like these: "Dreams and the Mind-body Relationship: The use of Dreams in Homeopathic Practice" or "Case Taking: Perceiving What Needs to be Healed" or "Communicating with the Psyche: The Subtle Technique of Dream Analysis". Doesn't this all sound so good?!? This is what gets us Homeopaths salivating. My take away from this quote-within-a-quote is simply that with dream analysis we can work with patients as healers and not just as physicians - which I take meant for Jung psychiatrists and psychologists. For us - who usually have people come for physical health conditions - we can move from operating from more of a medical model or solely focusing on the chief complaint as per "what is to be cured?" only as a condition to a place of getting to the root cause, what is underneath the shift to a disease state for the patient. We can shift to going into the sub-conscious on a journey alongside our patients and, therefore, being more about deep curative results that actually often happen after we stop either seeing the patient - often when they get a clean bill of health from their doctor. Of course, when they stay on with us - just after the condition they wanted addressed is taken care of or really as good as it can get with our initial rx(s) - then they are going for what is better termed "true healing". The difference here being that after they are treated with Homeopathy...i.e. - have a remedy help bring about a shift to enable them to have a deep awareness to interpret their own dreams (to look into their subconscious mind)....then they are not just coming to us to get fixed, but they are wanting to complete what was not finished in their development as a human being. Homeopathy in modern times seems just as intent and if not more since Hahnemann's time...to fully realize ourselves as a species so "...that our indwelling, rational spirit can freely avail itself of this living, healthy instrument for the higher purposes of our existence" (Organon, Aphorism 9). Note- I use this to refer to all humans as a species that have the potential to live as fully conscious beings connected to the universal life force! or, at very least, as happy, healthy beings on the planet and in their individual lives. The book is an important one and it is clearly pointed out as to why especially in modern times we need to be in tune with our patient's psyches; the unconscious lives they live and that can be accessed through dreams (which "...lie outside our conscious ability to manipulate them"). Check this out: "In a way, dreams have never had a more important potential role in homeopathic case taking than they have in the present era. When homeopaths in earlier times asked about food desires, physical modalities, and sensations, they could usually depend on clear, straightforward answers. Today, it is rare to find individuals who have not had most of their mental, general, and physical symptoms suppressed. We now live in a very complex and over medicated society that is reluctant to allow any symptom to go untreated or untrained - or to allow any desire to go uncensored and uninfluenced by advertising and media. Most people live a life that is so removed from nature that symptoms become intellectualized and therefore unreliable, making it very difficult to picture who the individual really is". (p. 90) You had me at "food desires". I am so sold on dream analysis for Homeopathy. As you know the best way to bring theory home for us is with cases and in the book there is a brilliant case in which Cicchetti breaks it down for us. Over a period of one and half years a patient, Linda, age 46, with a C.C. of hair loss has 8 dreams and they are used to illustrate the multiple ways we can use dreams in our work. See it in the chapter aptly entitled "Wholeness: The Archetype of the Self". Aptly it is a case of Alumina, one of most out of touch with oneself remedies in our M.M. This case alone makes the book well worth a read. Anyways, I will touch on what I am talking here by way of 4 of the 8 dreams of this patient (and without too much detail if that is okay with you). So, the first dream is after 1 month into treatment/dosing the rx. This is a case that unfolds via the 8 dreams over a year and half and goes deep with details from the patient's words (a psycholtherapist who had done extensive work prior to Homeopathy) through to a thorough analysis of what goes on from the perspective of dream analysis and the point of healing. Anyways (again) the point that I want to make...that is driven home effortlessly to us is the healing is "effortless" as it literally unfolds for the patient with time and the remedy doing their Homeopathic magic...and the skilled work of a Homeopath that guides the work with a light touch/rather, with just the amount of effort and of the kind that benefits the patient fully in her healing. Cicchetti states that the dream is about "...the ego connecting with a reality bigger than itself." (p. 80) To contextualize this and the case/dream analysis she beautifully gives this to us; to help us keep perspective with our patient's healing journeys: "In the process of personal development, there must be development of the ego, a sense of personal self, but in the later part of life, the reverse process challenges an individual. After a person has lived a life identified with the ego, their ego must form a relationship to the archetype of the Self if further development is to take place. Premature aging, ossification of the body and mind, or illness may occur if this process is stymied. Midlife crises and other diseases that occur between forty and fifty are often associated with, among other things, the need to move toward the greater wholeness being exerted upon the individual by Self." (same page, that is within the body of the 10 pages of the case). This in particular rang true for me in terms of my own age/stage of development and where I am in my healing journey....no more midlife crises! the 2 or 3 that I had are done with, woo hoo. So, enough about me and back to the case at hand, Linda, 46. The next 2 dreams she has, after another 2 months into treatment, are telling. They bring to the fore of consciousness what had been latent/sitting inside the patient - "her deeper parts". One dream had zombies in trees around her on a road she was walking on in the countryside and the other one was a situation where she was in danger at the hands of her uncle but wherein she knew she was safe despite him welding a knife because she could access and call 911. She basically revisited the horror of her early childhood but in bringing awareness to these dreams she was now able to replay the abuse of her past in a different way. The second of these dreams was a "...wonderful dream of revisiting and healing the trauma". With the session in which the dreams were reported we see how the Homeopath works truly in partnership with the patient in that they are asked what they interpret the dream to mean for themselves. So, the zombies for Linda were in her mind her dead parts, what she had cut off in herself as a way to cope with living within her unsafe childhood. My next Follow-up with a patient will a) hopefully have a dream or 2 to work with, and b) afford me the opportunity to work in this way! Last dream, her 4th of the 8 dreams: It was one that represented or was, rather, her Shadow (as in what the ego has closed off to/kept hidden) emerging nicely at this point in her tx. This is sometime after only about 3 or 4 months in. Have you ever noticed that if a great rx is at work the time just whips by so quickly....and this is where we have to be in step with our patients, not letting time go by unnecessarily (integral to healing is getting potency and repetition of dose correct just as much as the correct rx). The dream is one that scares the patient - it is a "...group of people sitting around a table and a man was doing a demo on how to use a pistol - to show them how to put it to their heads to kill themselves". Yep, scary stuff and especially as the patient comes to grips with her interpretation. For her, "the group is my family. It is the group thinking that I took in from my family. It's mindless group think". For her, as in the zombie dream, there is a deadness to her/her life prior to tx. But, what comes up is that self-destruction now is about killing off the "...parts of her psyche that were identified with the "groupthink" of her family. At this point she does seem to be depressed/get down but, this is a necessary part of confronting ones Shadow. "She had previously lost her own identity to the beliefs and attitudes of her family members..."...and as Jane Cicchetti points out with the remedy, "This is something that those needing Alumina are particularly prone to do. They easily identify with the group and lose their individual identity to the group identity". It gets better (the case that is & in so many ways) and so this is where I leave you my friends. You can read the rest on your own. So, just stand up and grab the book off your shelf and dust it off (or quickly get a copy sent to you and start reading it). All told, on my part, I know that next time I am lost in my work with a patient I will re-read this case to give me inspiration and guidance. To reiterate it is worth a read and its a keeper as it's a reference book in many regards. The other book, One Heart, One Mind, by Pierre Fontaine can be a one time read, but, also get it and do pass it around. I am lending my copy to people that work with children on the Autism Spectrum along with some parents so they can see what Homeopathy can do in this regard. "Behind the technique, know that there is the spirit: It is dawning now; Open the screen, And lo, the moonlight is shining in!" "There is a Zen saying - "the great action is direct and knows no rules." "Direct means that the action of a man of full inner awareness appears directly; and the fact that the action of a man of such awareness is not bound by any of the training principles he has learned, or by any established ways of doing a thing, is expressed by the words, "knows no rules." The "rules" are the training, the ways of doing, the accepted methods. For everything there are instructions, there are ways and means which are usual. But the man who has attained gives them up altogether. He acts freely and spontaneously. He who is free, outside the rules, is called a man of great awareness and great action. "Awareness means never to lose inner clearness, to see in everything its real point. If this awareness congeals and grows hard by thinking and thinking, it becomes caught up in the things. This means it is not yet mature. But if practice is continued rightly, in time the awareness will become mature and fill the body, and he will work in freedom. This is called great action." (See The Book of Five Rings by Thomas Cleary, which includes the translation of The Family Traditions on the Art of War by Yagyu Munerori). Laura Coramai threw the I Ching for 2011 and got Hexagram 42, Yi or Increase: Wind, Mountain, Earth and Thunder. "The combination of material wealth and spiritual poverty in one person is a danger to the world. Geniune fertility is based on an awareness of the value of material possessions in combination with spiritual awareness." As a reader of the wonderful Homeopathic Materials of Narayana Publishers I am blessed to represent them in North America and give my insights on my contemplations of what I have read and, hopefully, can add to the depth and beauty shared by the gifted & truly insightful authors selected to represent New Homeopathy at a time so crucial for movement forward & Abundance for our profession.